You can easily and affordably add style and luxury to your bathroom with Ultra bathroom furniture. These contemporary vanity units, cupboards and cabinets give your bathroom a cool, designer look. 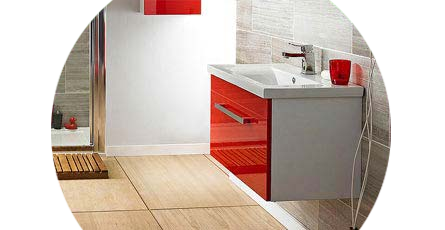 Ultra bathroom furniture is made using quality materials and features modern functionality. From wall mounted furniture to floorstanding cabinets all Ultra furniture products offer complete peace of mind with long guarantees. Once you have found the perfect pieces of furniture for your bathroom, it's time to choose a colour and finish. Ultra furniture comes in a variety of colours; black, red and white in a range of walnut, oak and gloss finishes.